We will help you tell your story one word at a time. 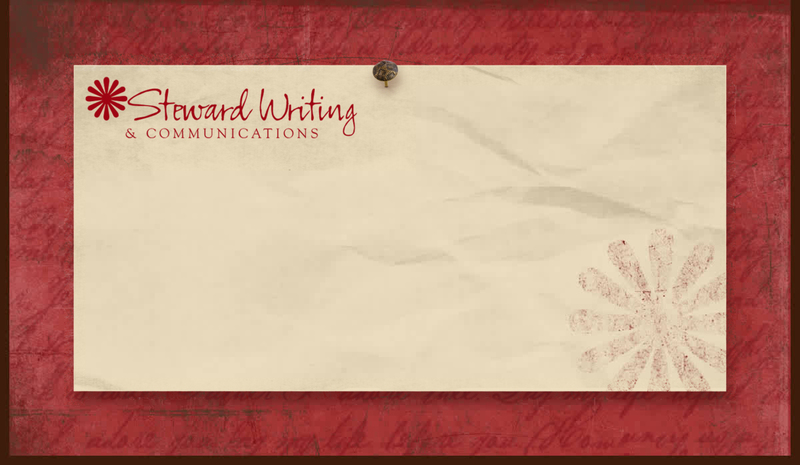 Steward Writing & Communications provides copy writing and editing services for non-profit and for profit companies, small businesses and local governments. Established in Easton, MD in 1999, the business specializes in public relations in the areas of the environment, tourism, health care, the arts, and social services. Every organization has a story to tell… let us help you tell your story.